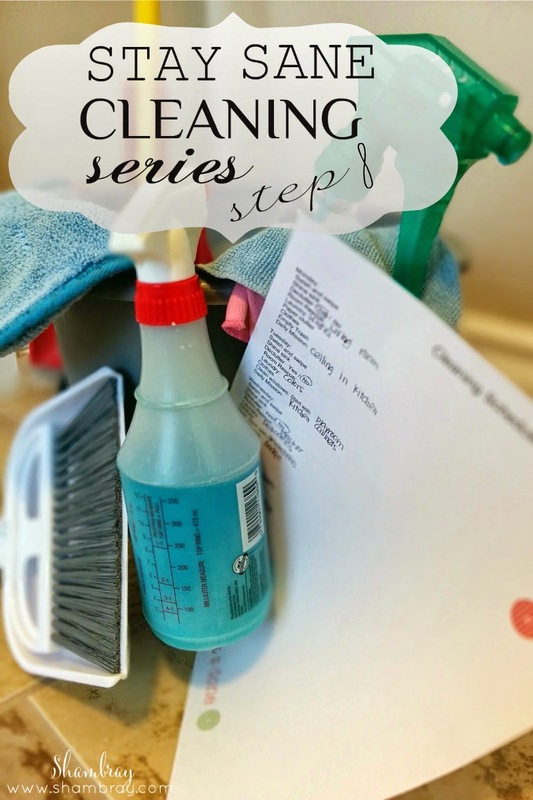 We have started on the weekly tasks that are in the Stay Sane Cleaning Series. I will be spreading the next steps out more. You will only see one post in the series every month. I did this so you could as least do each of the "weekly" steps 4 times before I add another step. The first weekly step I do is what I call "tackling paper clutter". I usually do this on Monday because I can place all the paper in a pile on my filing cabinet throughout the week and then tackle it every Monday. Paper clutter is just that...paper. It might sound silly, but this is the type of clutter that gets out of control at my house. If I don't manage it then soon my desk (really anywhere) is covered with paper. It can include, but definitely is not limited too, coupons, bills, school papers, statements, receipts, cards given to me by friends, other miscellaneous mail items, and so much more. Does the picture above look familiar? Please say it does so I don't feel so bad! 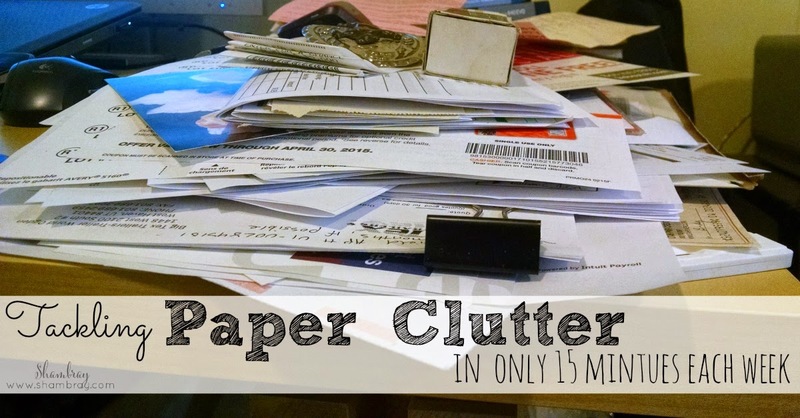 This is why I tackle paper clutter for 15 minutes each week. 2. Start tackling your paper pile. I confine mine to one pile. It does not get that big since I attack it each week. I have my pile on top of my file cabinet like I mentioned above. However, you can have yours where ever you want. Just put it somewhere that is convenient enough so that the paper makes it to the pile. You do not want a bunch of little piles all over the house. 3. I start by dividing up the pile into little piles. 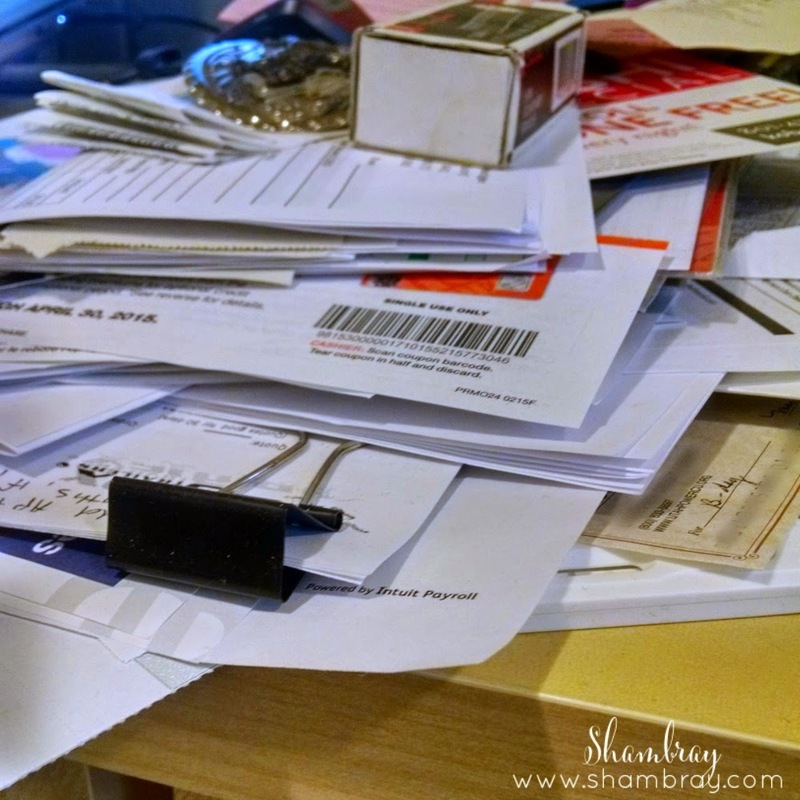 For example, I will put all the coupon papers in one pile, cards or anything else I want to save for journaling purposes in another, receipts in another, and so on. 4. Then I start putting away the little piles. 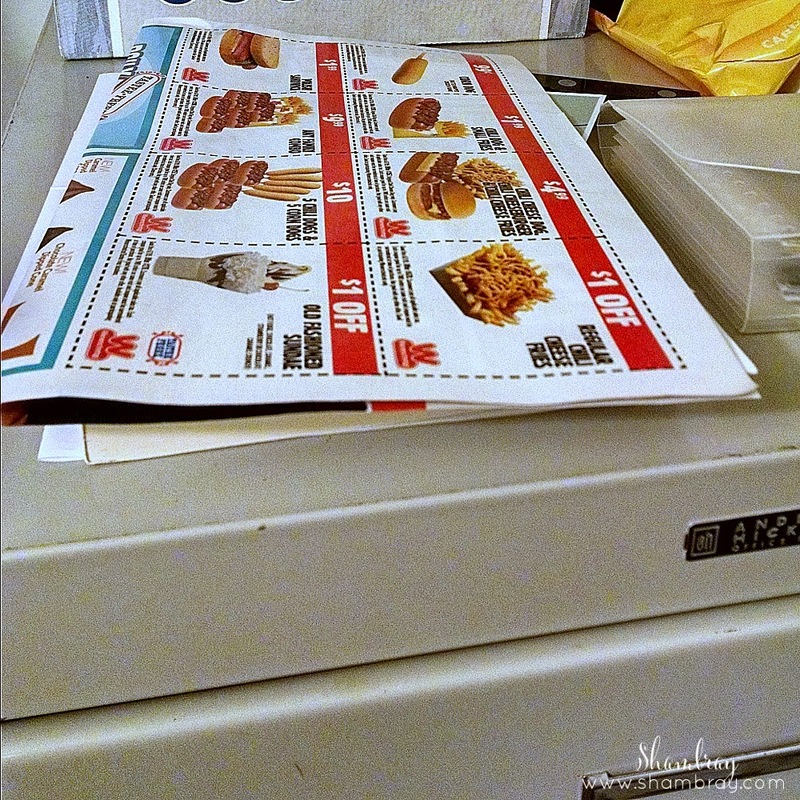 Check out my couponing system I have set up to see what I do with coupons. I have a file for anything that I want to put in journals/scrapbooks. I put it in chronological order in the file and then when I have a few moments to craft/journal I will take out the file and start putting them in the journals. I only save receipts for big purchases. Other than that I throw them away once it is entered in my budgeting spreadsheet. I do not get very many bills. I have almost everything set up on paperless. There are a few that I do get because they don't offer paperless and when I get those I put them in my Bill Pay system immediately and set up when to make the payment. Then I get rid of the bill. 5. I do as much as I can for 15 minutes. If for some reason you do not get through your whole pile then stack it up again and tackle it the next week. It won't go anywhere. 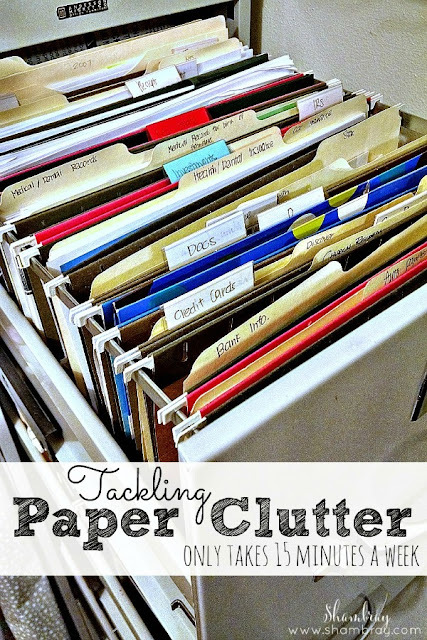 This is what you might have to do if you are just getting into the routine of weekly paper clutter management. You will catch up and feel better in no time, I promise! Do not skip looking at time sensitive things (like bills). I'm not even going to tell you how bad my paper clutter is. We have a filing system set up, we just need to be better at it. I love these 15 minute limits you give yourself! !